Our viz takes data from the Federation for American Immigration Reform (FAIR) about how much illegal immigration costs in each state. FAIR takes into account a variety of different expenditures, like healthcare, education and refundable tax credits. We mapped these numbers across the United States according to a color-coded scale. 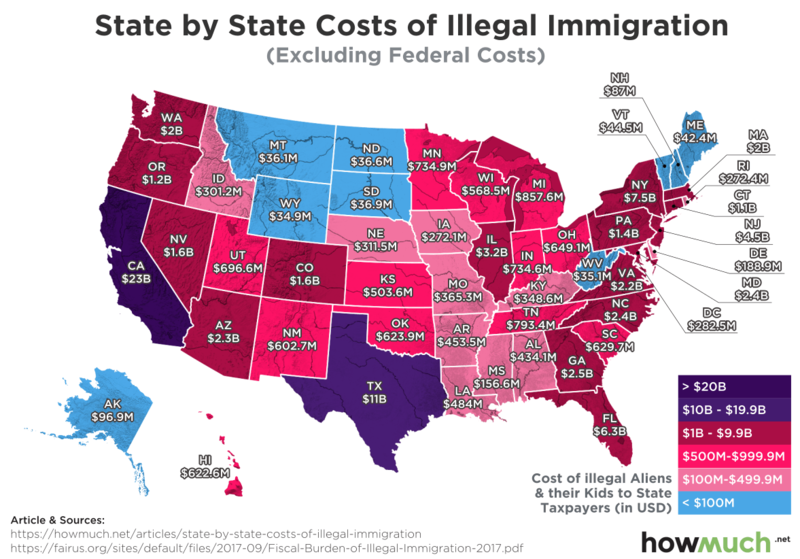 Purple and dark red states have comparatively high expenditures, but the pink and blue states spend relatively less money because of illegal immigrants. There are two interesting trends you can see from looking at the data in this way.